Mead has played an important role in the belief system and mythology of people dating back into BC; now it plays an important role in the prosperity of the honeybee through our Beehive Brae Mead. 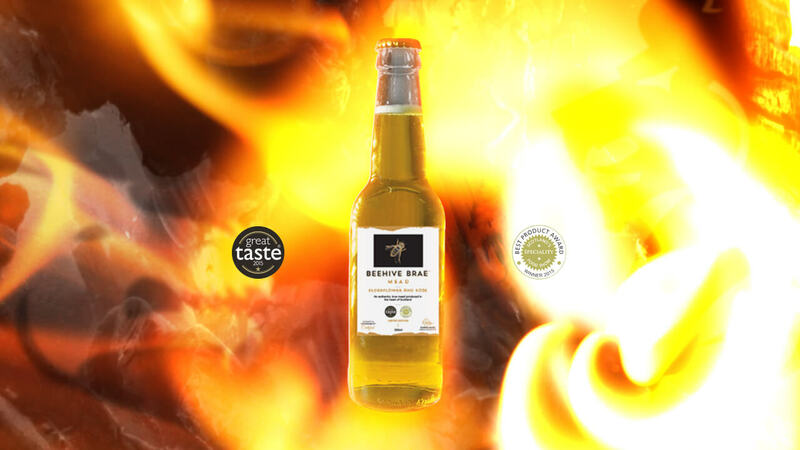 Most commonly associated with Medieval times and traditions our Mead is certain to become a legend in its own right. Its floral honey bouquet arising from the rose and elderflower contributions is countered nicely with a dry acidity carried in its light carbonation. While we like to keep it historically accurate by shunning preservatives and using a pure honey foundation, in a modern twist of fate Mead is entirely Gluten free. The honey content of our Mead has not only lent its name to ‘honeymoon’ where enough Mead was given to newly married couples to sustain them for the first moon phase of their marriage; our Mead sustains our marriage to the Honeybee and our plight to increase its at-risk populace in the UK.